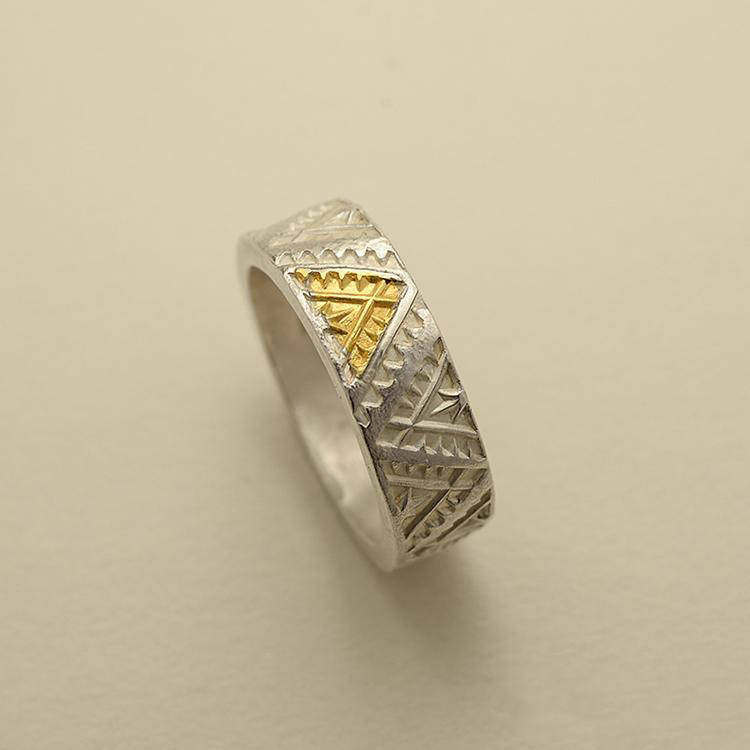 The gold etched ring is a geometric pattern ring - design inspired by Native American traditional art. 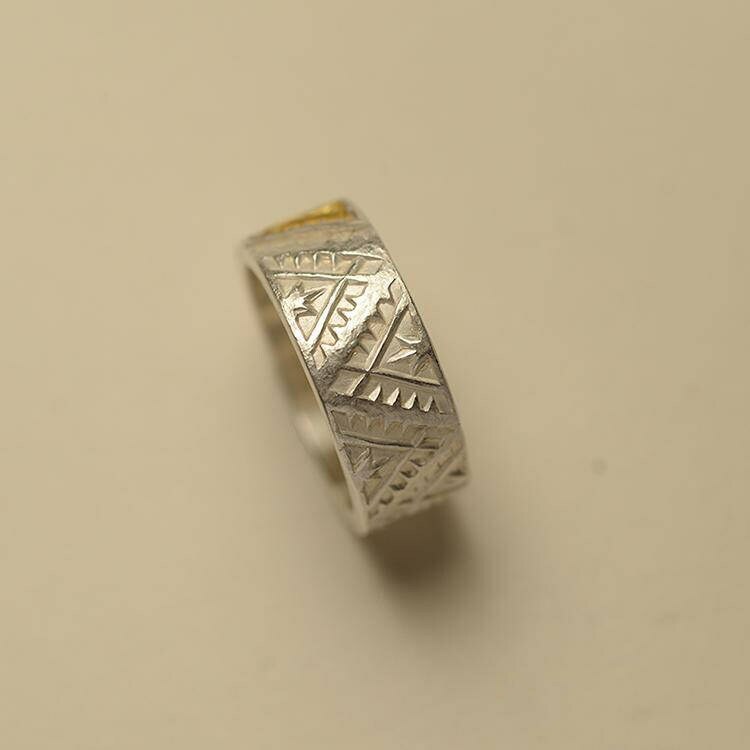 The sawtooth triangle pattern is often found on Navajo handmade wool blankets. 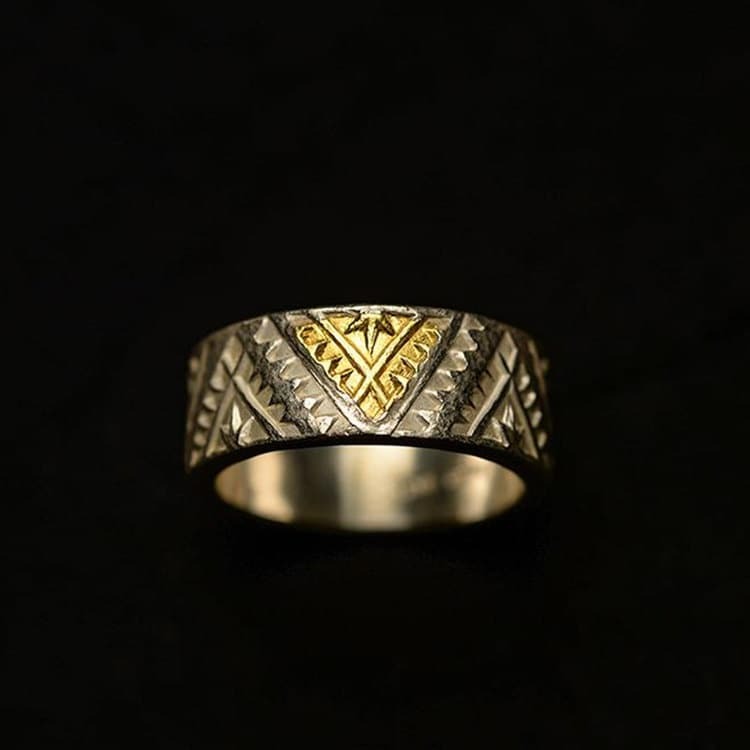 The pattern is repeated over the ring, and one of the triangles is etched with 24K gold ring. 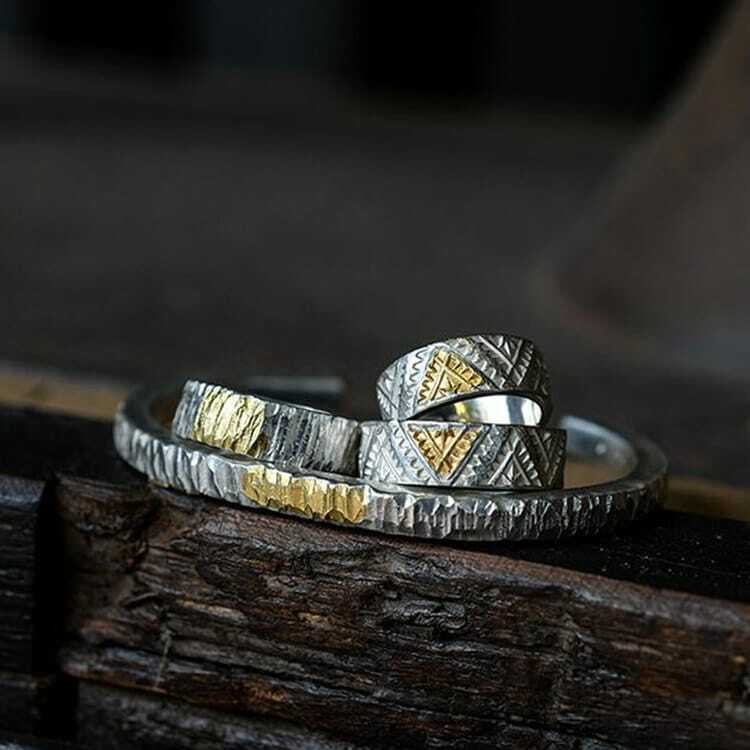 The effect of a tiny bit of gold shining through the silver ring is magical - looks something like a flame leaping out from beneath the snow. Or burning coal, glowing in the fire. 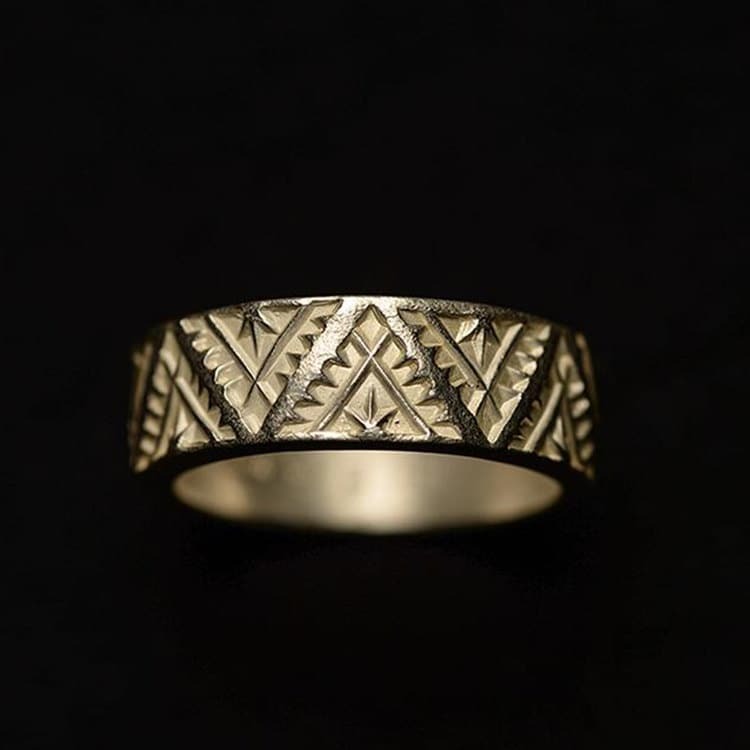 Note: This item can be custom engraved on the inside of Ring. We only offer the English alphabet in LARGE CAPS, numbers,❤,&, and (.) little dots. 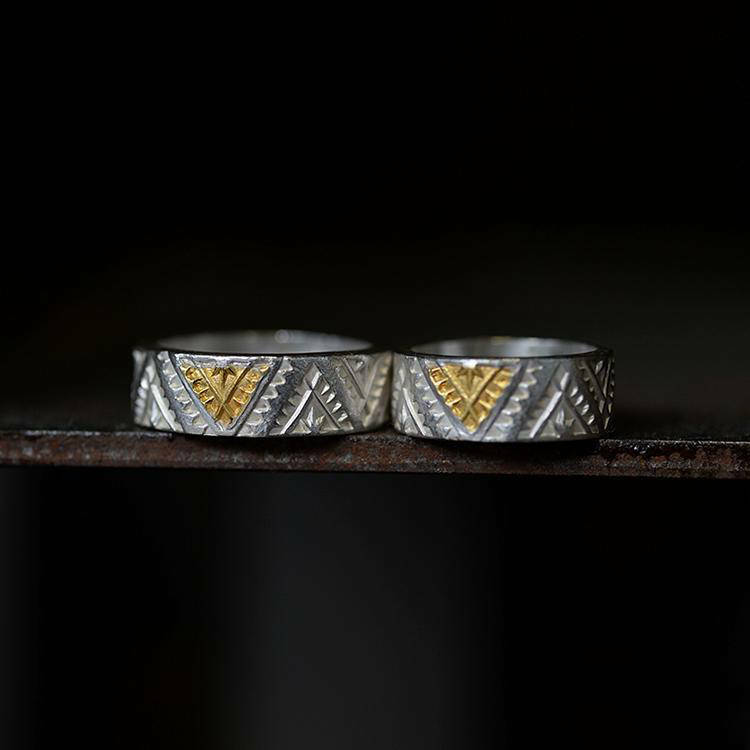 All Letter Size 1/8" (2mm). 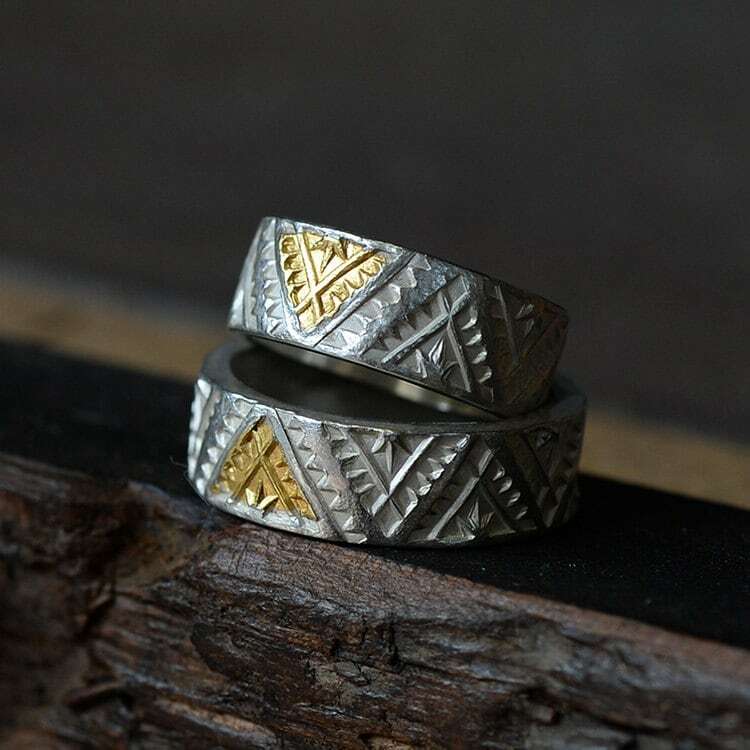 Great communication, fast shipping, and above all, a very handsome ring.